One of the most dynamic design elements of the building is the main entrance, which allows everyone to see behind the scenes to where the magic happens. 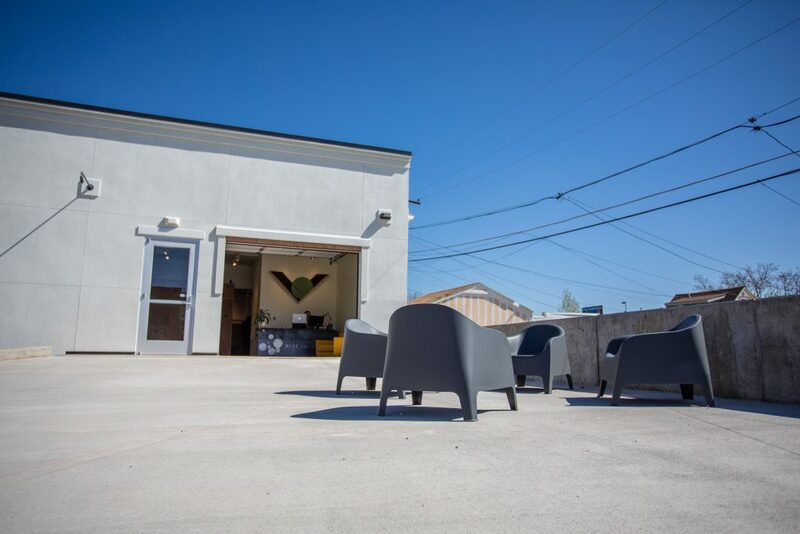 By relocating the main entrance to the east side loading dock, we’ve created a democratized experience for anyone visiting the space, from artists to CEOs to delivery persons. The entrance also features a garage door and large ramp to accommodate bringing massive artworks into and out of the building. 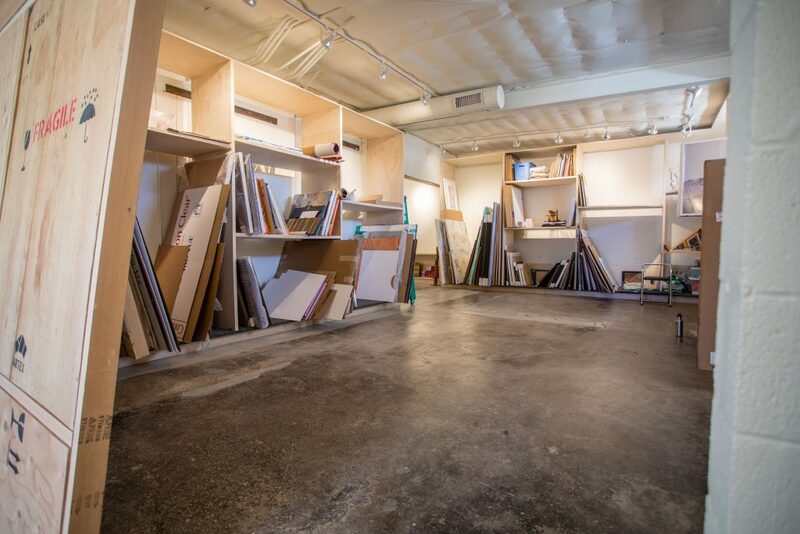 Adjacent to an exhibition space at the entry is a climate-controlled storage area built for flexible storage solutions for a diverse selection of art, which sits behind a 10-foot sliding barn door. 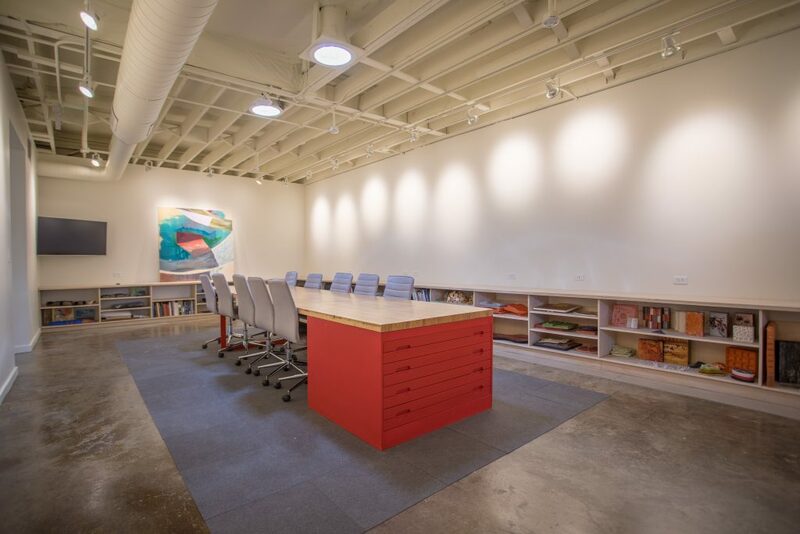 A custom galley-style art presentation room utilizes art lighting, an extra-long table made from a former bowling alley lane and custom flat files for artworks on paper. A small dark room with row seating and a large screen accommodates special viewing sessions for digital artwork. We’re especially excited about the new office location in the Navajo Street Arts District. 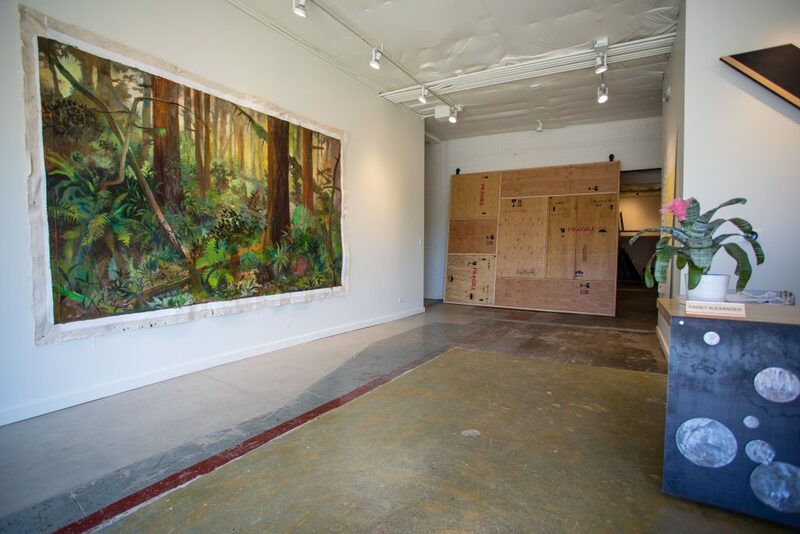 As the surrounding neighborhood is experiencing transformation and growth, so is the district, and we are excited to be part of the effort to breathe new life into and create more economic impact for the art community we are proud to call our neighbors. 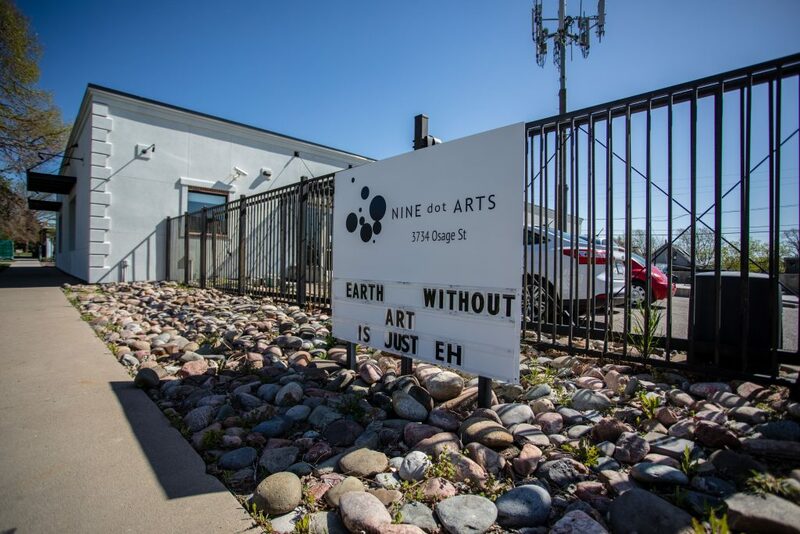 The space is a tangible representation of our work to be a nexus point of engagement for artists and the business world, and is reflective of all the ways we connect the community for sustained creative growth in Denver and beyond. We hope to host you at our new office soon! Thank you to all of the partners who supported our construction and build-out, including NeoEra, Saunders Construction, Studio NYL, Enlighten Engineering, Swanson-Levary Engineering and Associates and Studio TJOA.